Our Vision is to be the leading source of world-class dairy herd management and information services. Our Mission is to provide leadership and initiative in the pursuit of competitive advantages for our customers in the global marketplace. We will provide herd management products and services which maximize sustainable net income of progressive dairy herds. We will accomplish this through our commitment to excellence in customer service, product and service innovation, quality people and fiscal responsibility. CanWest DHI was established in 2004 as an alliance of Western Canadian DHI Services and Ontario DHI. A unified Board of Directors and a single administrative structure support the delivery of DHI services by nearly 200 staff to more than 4,200 herds across five provinces and four time zones. CanWest provides both English and French language services. CanWest operates three labs and tests about 3,000,000 DHI samples annually. 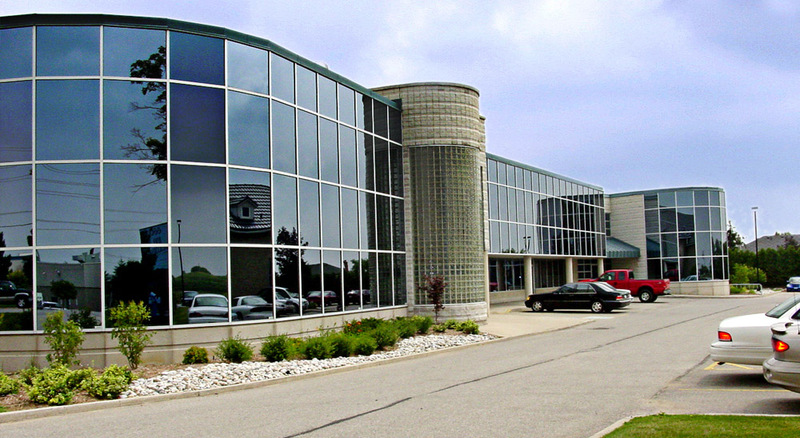 The labs are located in Chilliwack, British Columbia, Edmonton, Alberta and Guelph, Ontario. With three lab locations and one office, the vast majority of the CanWest DHI team is located in the field close to our customers. The Board of Directors is comprised of 10 Directors representing the five provinces served by CanWest DHI. There are four dairy farmer Directors elected to the Board in the west in accordance with their election procedures (one from each region). In Ontario, there are six dairy farmers elected to the Board. CanWest operates three labs and tests about 3,000,000 DHI samples annually. The labs are located in Chilliwack, British Columbia, Edmonton, Alberta and Guelph, Ontario. In addition to testing milk samples, our British Columbia and Alberta labs also provide payment and quality testing services for the regional milk marketing agencies in the provinces of British Columbia, Alberta and Saskatchewan. Lab services in Manitoba are provided by the Dairy Farmers of Manitoba in Winnipeg. DHI record processing services are provided through a single data processing centre for Canada operated by a partnership between CanWest and Valacta (the Quebec and Atlantic region DHI organization). Since the partnership was formed more than a decade ago, the national processing activities are located in the Valacta offices located in Montreal. CanWest provides a growing range of health and disease diagnostic milk testing services including Johne’s & Leukosis, Mastitis Milk Preg Test, BVD, and Ketoscreen. Since introducing health-related testing services in 2006, more than 80% of DHI customers have used at least one health test including Ontario where 43% of customers have used at least one new test. Since their inception, 60% of DHI herds have tested samples for Johne’s, 45% for Mastitis, and 11% for Leukosis. Robot herds account for approximately 6% of the CanWest customer base and continue to grow. In addition to milk recording services, CanWest is also the exclusive distributor of DairyComp Herd Management software and Feedwatch Feed Management software for Canada.